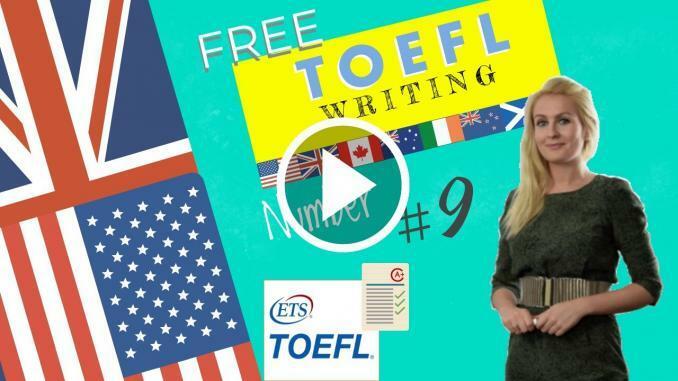 An explanation of the toefl writing rubric and how to use it in the test. It is recommended to use five paragraph essays. A classic format for writing compositions is the five-paragraph essay. Whereas It is not the only format for writing an essay, it is the model used for assessment by many examining bodies. Below you will find some useful tips on the structure of the five-paragraph essay coupled with a sample essay. A toefl writing rubric recommends using five paragraph essays. A classic format for writing compositions is the five-paragraph essay. Whereas It is not the only format for writing an essay, it is the model used for assessment by many examining bodies. Below you will find some useful tips on the structure of the five-paragraph essay coupled with a sample essay. The introductory paragraph is the first paragraph of your essay. It will introduce the main idea of your essay. A good opening paragraph should capture immediately the interest of the reader and states why your topic is important. The introductory paragraph needs to include a statement known as the thesis statement, this is the main idea of the essay which should be stated in a single sentence. Once you have introduced in your thesis statement you must limit your entire essay to this topic. The introductory paragraph should give the reader some background information about the topic you are going to write about such as interesting facts, quotations, or definitions of important terms that you will use later on in the essay. The last sentence of the introductory paragraph must also contain a transitional “hook” which moves the reader to the first paragraph of the body of the paper. The first paragraph of the body should contain: the main and most convincing argument, the most significant example, the most poignant illustration, and an obvious starting point. In order to ensure cohesion, the first sentence of the paragraph must include the “reverse hook” which ties in with the transitional hook at the end of the introductory paragraph. The main point for this paragraph should be in the first or second sentence. This point should always relate to the thesis statement in the introductory paragraph. As in the the last sentence of the introductory paragraph, this paragraph should include a transitional hook to tie into the next or second paragraph of the body. The second paragraph of the body should be an obvious follow up to the first paragraph in the body and in descending must contain the second strongest argument, second most significant example, second cleverest illustration, and so on. The first sentence of this paragraph should include a reverse hook which ties in with the transitional hook at the end of the first paragraph of the body. The second paragraph has the same format as the first and third that is, he topic for this paragraph should be in the first or second sentence. The topic should relate to the thesis statement in the introductory paragraph. The last sentence in this paragraph should include a transitional hook to tie into the next paragraph of the body. So logically,the third paragraph of the body should contain the weakest argument, weakest example, weakest illustration, or an obvious follow up to the second paragraph in the body. Once again the first sentence of this paragraph should include the reverse hook which ties in with the transitional hook at the end of the previous paragraph. The topic for this paragraph should be in the first or second sentence. This topic should relate to the thesis statement in the introductory paragraph. The last sentence in this paragraph should include a transitional, concluding hook that signals the reader that this is the final, major point being made in the paper. This hook also leads into the last or concluding paragraph. Allude to the pattern used in the introductory paragraph. a summing of the three main points from the body of the paper. a final statement that gives the signals to the reader that the discussion has been concluded. Overall, the changes that occurred in football have helped to improve the game. Football is much faster and more exciting as a result of changes in the past 150 years. For the reasons I have illustrated, modern football is a far better game than the football played in its fledgeling years.